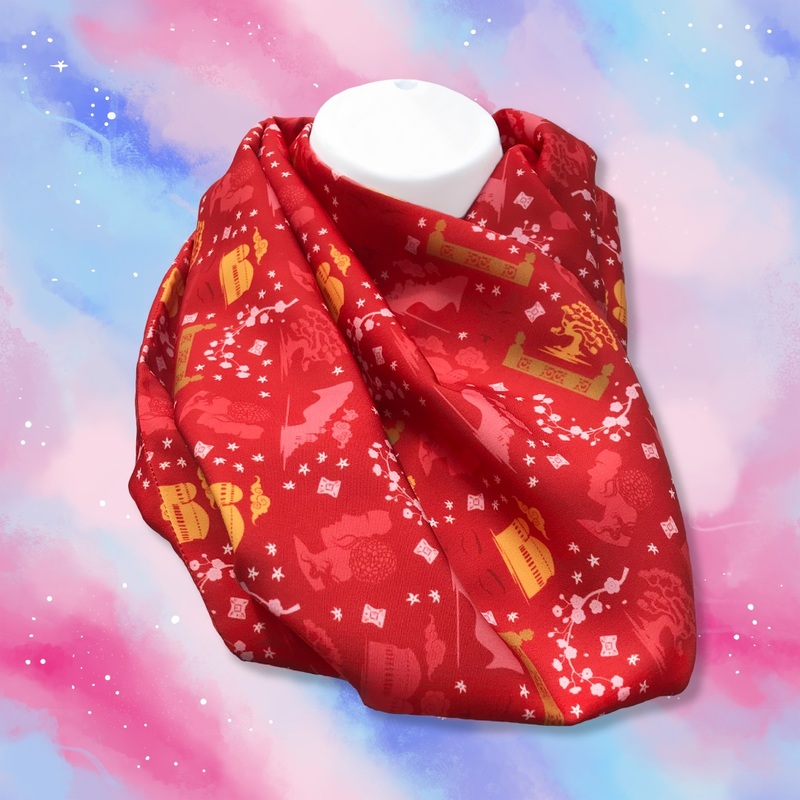 Check out the awesome new Padme’ Amidala inspired scarf design by Prophecy Girl! 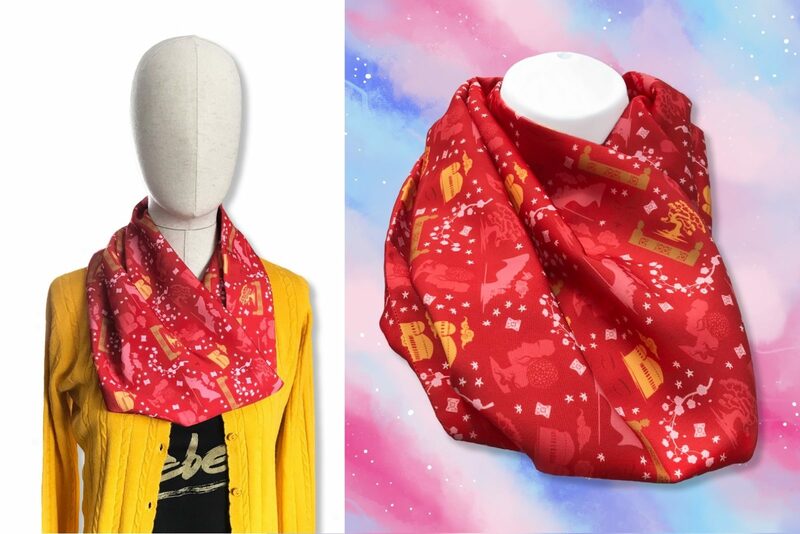 The infinity scarf features an all-over repeating print of Padme’ Amidala themed imagery, including her classic Queen Amidala makeup, the lake retreat on Naboo, her japor snipet necklace, and Theed Palace. Seriously, it is so gorgeous! 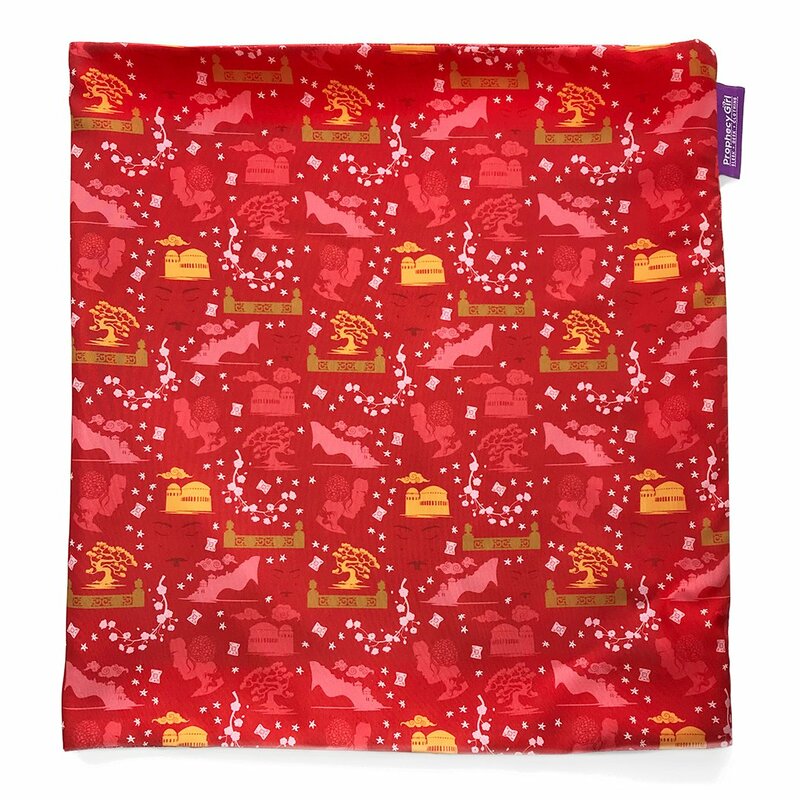 A regal red scarf, suitable for space senators and picnic lovers alike. The design incorporates queenly faces, lakeside balustrades and buildings, sprinkled with beautiful white flowers. 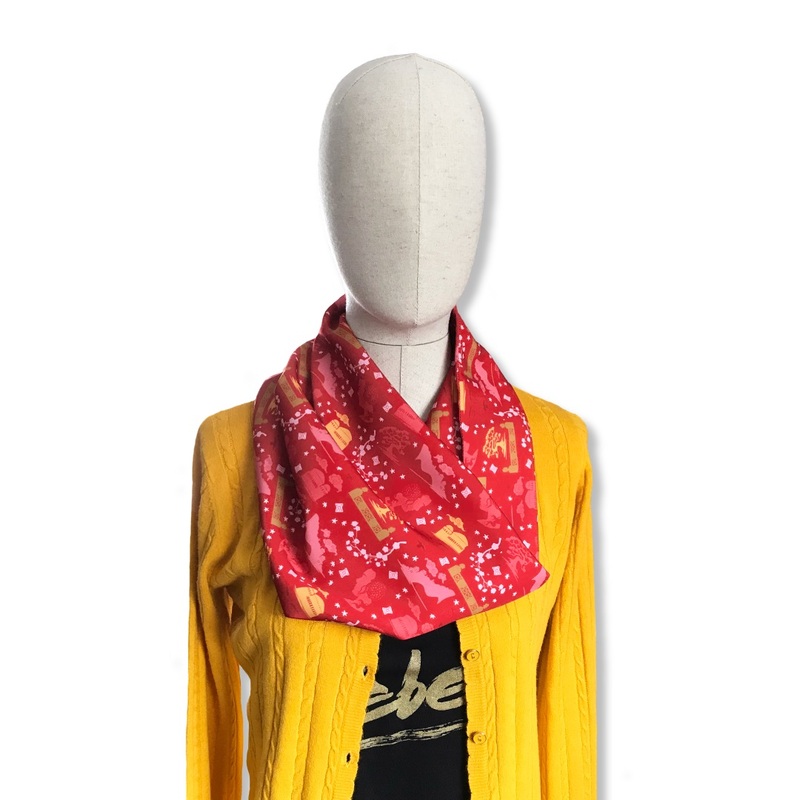 These tube scarves are *so* easy to style, simply pop it over your head and you’re done! The peach-soft polyester feels lovely AND it doesn’t crease, so your scarf won’t look wrinkled, no matter how many times you take it on and off. To read more about Prophecy Girl and their Star Wars fashion – check out our product reviews here and here. The scarf is priced at £20.00 each (approximately US$28.36 each) – Prophecy Girl can ship internationally, which is great! Photos sourced from and belong to Prophecy Girl.